Do you have stuff in your house that you would like to send to the dump? Perhaps you have an old sofa stored in the basement, a non-working TV in the attic, or a heap of scrap metal in the garage. 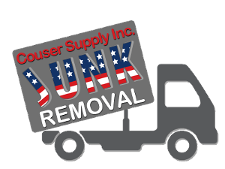 Get rid of rubbish that is accumulating around your house with junk removal in Waldorf, MD, from Couser Hauling. We offer same-day service. Our customers have a number of good reasons to request junk or trash removal. Spring or seasonal cleaning is one consideration. How about when the in-laws come to visit, when you are moving to a new home, or when you are planning a big party? We are in business to make Waldorf, MD, a more beautiful place. 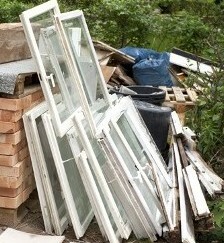 Let us do our part by taking away the rubbish that just builds up in a closet, attic, basement, or spare room. We believe any time of the year is good for cleanup when you have the inclination or the need. From toasters to refrigerators, from lamps to sofas, and yard waste to tree limbs, our dependable professionals provide junk and trash service. We take it all away so this stuff no longer troubles you. Perhaps, you require more than just junk removal. Maybe you require assistance in getting rid of the clutter that has accumulated in your garage, attic, or basement. Or, you need help to clear out the house of a family member who has died. In addition to picking up trash and removing rubbish, we offer clean-out services for estates, foreclosed homes, and portions of your house that accumulate clutter. Benefit from the services of our local, family-owned-and-operated company. You receive prompt, courteous service and personal attention. You are the reason we are in business and it is our goal to earn your repeat business. Trust in us to do our very best for any and all of your rubbish removal needs. Contact us today to remove the rubbish that has been accumulating in your basement with our junk removal service in Waldorf, MD, and the surrounding areas.